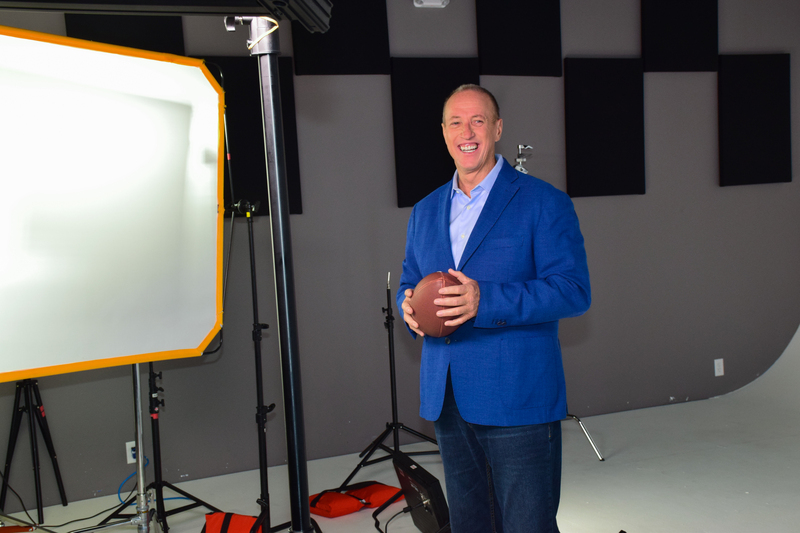 Pro Football Hall of Famer Jim Kelly at an endorsement shoot. Athlete Speakers has over 20 years of experience placing athletes with the right brands for endorsements. With access to thousands of athletes, our experienced agents can help your company find the perfect fit to endorse your company, product, service or brand. Why Book Athletes for Endorsements? Professional athletes have some of the most recognizable names and faces in the world which makes them great endorsers. Companies have used sports celebrities for years to promote their companies on television, radio, print ads and on social media. Successful advertising and media brand campaigns are vital to a company or organization’s growth. There is no better way to achieve that goal than having a famous sports athlete on your team! Why Book Endorsements Through Athlete Speakers? Athlete Speakers has been working with organizations for over 20 years to find the perfect athletes for endorsements. Athlete Speakers has direct relationships with athletes, coaches, sports agencies, and public relations firms to get the best talent fees for our clients. Our experienced team of endorsement and marketing agents will work with your company to find the right sports celebrity to represent your brand. Make your company, brand or product stand out by booking an athlete or coach for an endorsement through Athlete Speakers. Find an athlete for your endorsement opportunity. Contact us today to start the process of booking a sports celebrity for an endorsement!